Auto brand Tesla Motors, traditionally known for its Roadster model, has seen some rough patches during recent years, but that isn’t stopping drivers from clamoring for its vehicles. 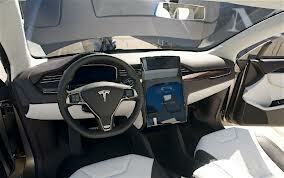 And, with the help from government funds, Tesla Motors is expanding more than ever before. The brand’s most recent grant comes from the state of California, which granted Elon Musk’s electric car company $10 million to develop and sell the new Tesla Model X SUV there. 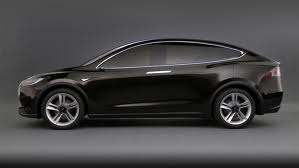 The Tesla Model X was first revealed in concept form this past February with its unique “falcon-wing” doors and electric drivetrain much like the one seen in the Tesla Model S, with which it shares several components, as well as having similar performance and range stats. 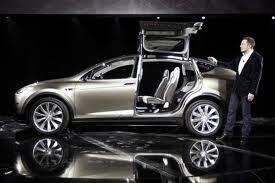 The new SUV garnered an incredible 500 reservations in the first four days it was showcased. Of course, now it has thousands of reservations, and it isn’t even going on sale until 2014! The $10 million California grant will help the company upgrade and improve its former NUMMI auto plant, where it currently employs about 1,500 individuals. Along with the $10 million, Tesla will contribute an additional $50 million of its own capital for the project. So, how much will the new SUV cost drivers? It will be around the same price as the S model, with a range in price between $60,000 and $90,000. A slightly more expensive performance model (boasting a 4.0 second zero-to-sixty mph sprint is also being developed. This means that the new Tesla Model X isn’t the electric supercar we’ve been hearing Tesla may develop or the promised low-priced BMW 3-Series rival that Elon Musk has promised Tesla fans. Despite the fact that it’s neither of these things, however, the new Tesla X SUV is and will be attractive to a very important group of drivers in the United States: well-to-do California mothers who won’t think about purchasing an upscale SUV because they find it an important tool in picking up their children from soccer practice, carting around toys and strollers, etc. The Model X offers seating for seven adults, excellent headroom, and easy access Falcon Doors for loading and unloading items. $10 million may not sound like much to develop and manufacture a vehicle, but it should definitely help the automaker expand its reach in the North American market. Of course, the big question for enthusiasts everywhere is if its unique falcon-wing doors will remain in the production model. We’ll also have to see if Tesla manages to use direct sales in the States instead of selling its products through dealership franchises. At the moment, 48 U.S. states have laws against this practice, but the brand seems like it would like to sell its vehicles this way, so we’ll have to see if the U.S. government will cooperate with the company in the near future. For more interesting updates about new SUV models, be sure to stay tuned here with reviewitonline.net. We’re always dishing the latest news!